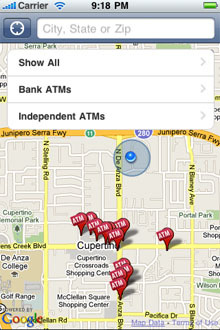 Easily find the nearest ATMs, bank, independent and cash machines throughout the world. Find the nearest ATM (Automated Teller Machine) just about anywhere in the world! 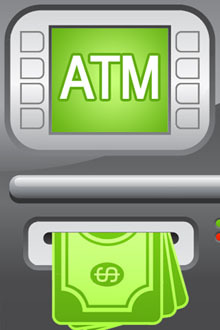 ATM Locator keeps track of the more then 1 million cash machines around the globe. You can now find cash and other services 24 hours a day, seven days a week. 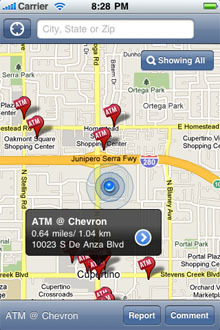 From bank ATMs to independent ones and the hundreds of thousands of surcharge free ATMs, you can find the nearest ATM in a matter of seconds right from your iPhone using the interactive mapping system. Hundreds of thousands of bank ATMs. Tens of thousands of surcharge-free ATMs from the various surcharge free networks. 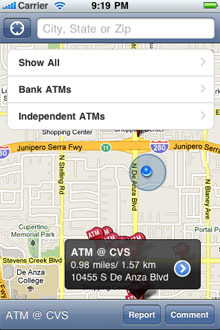 Independent ATM networks you typically find in convenience stores and gas stations.